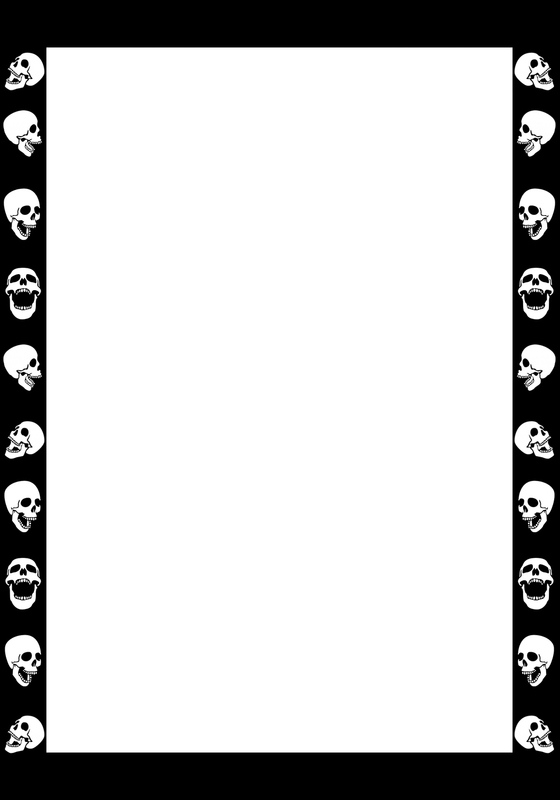 Halloween borders and frames, with border images of witches, moons, bats, cats - skulls and pumpkins. Cards, invitations, greetings, place cards and more. You can combine them with some of the Halloween clip art you find on another page here. 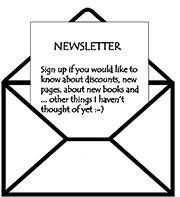 For that page and other pages relevant to this one - please see the picture links below on this page. You can use these borders for free, as long as it it for your own private use, otherwise please go to Homepage to see the two simple rules for using my material. Some of these borders and frames are in PNG format, which means they come with a transparent background and can be used on top of other pictures and different colors. 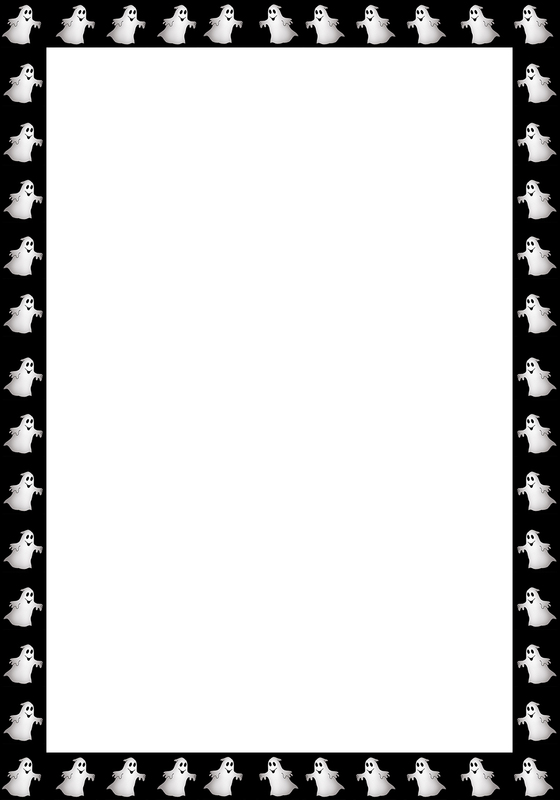 First some simple Halloween borders. Some of these borders are actually frames, a couple of them are a mixture between a border and a frame. 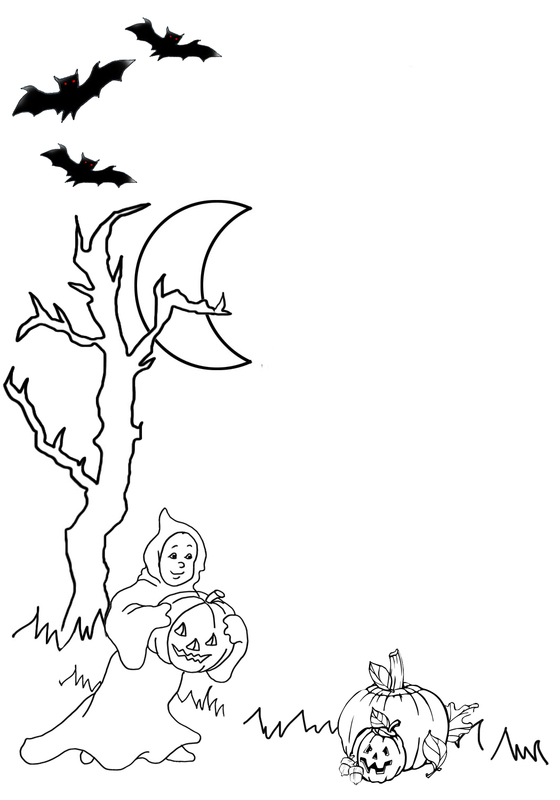 A mixture, a drawing with a cute little ghost carrying a pumpkin head, the moon, red-eyed bats. Small happy Halloween ghosts on black, a great frame for a card or greeting. “Well, how did you die, then?” the old man finally asked. 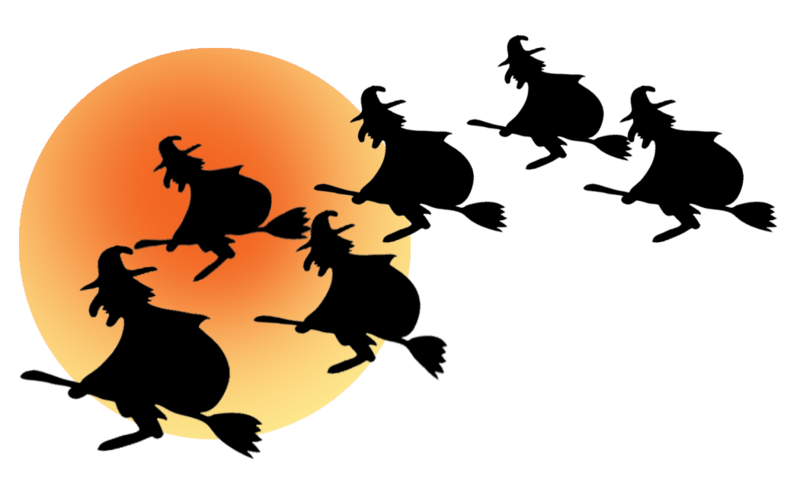 Border image with witches on broomsticks flying past the moon. 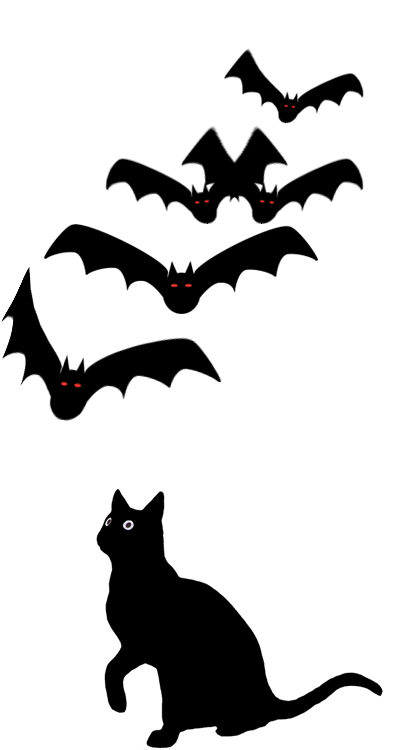 A different Halloween picture with a black cat and red-eyed bats. 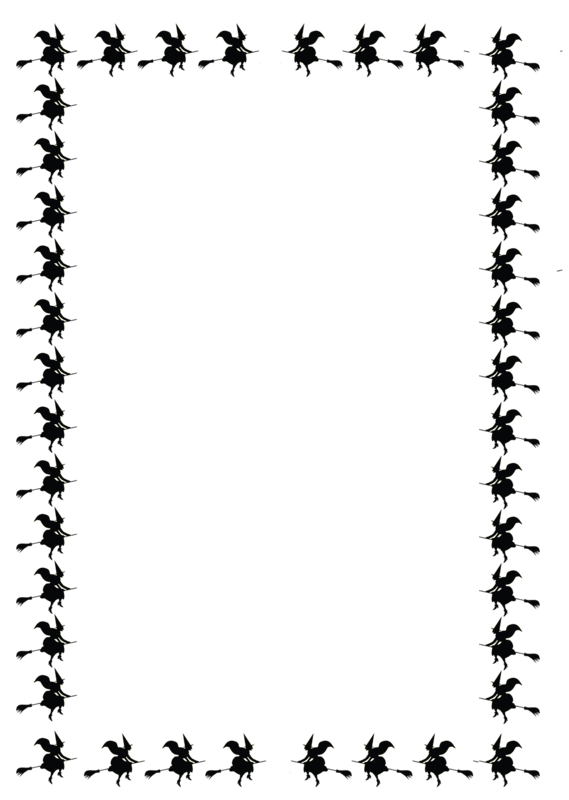 A border image with 5 different pumpkin heads. 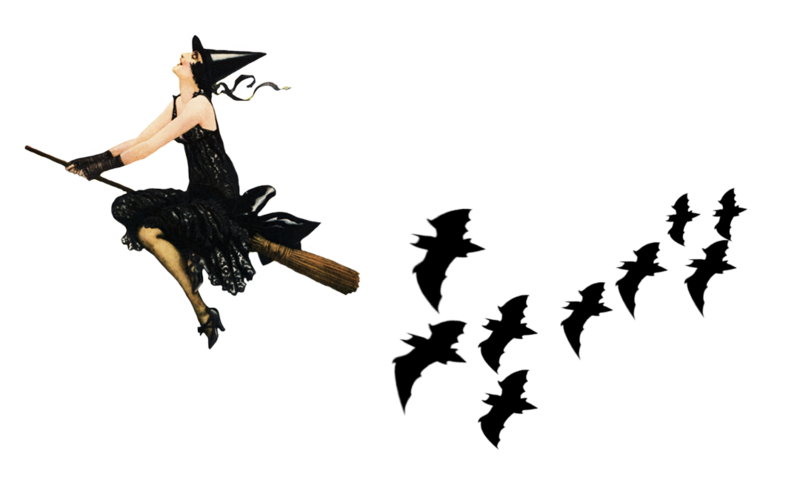 Vintage witch on a broomstick, followed by lots of bats. Halloween Cards: Funny free printable greeting cards for Halloween with ghosts, bats, spiders and witches. 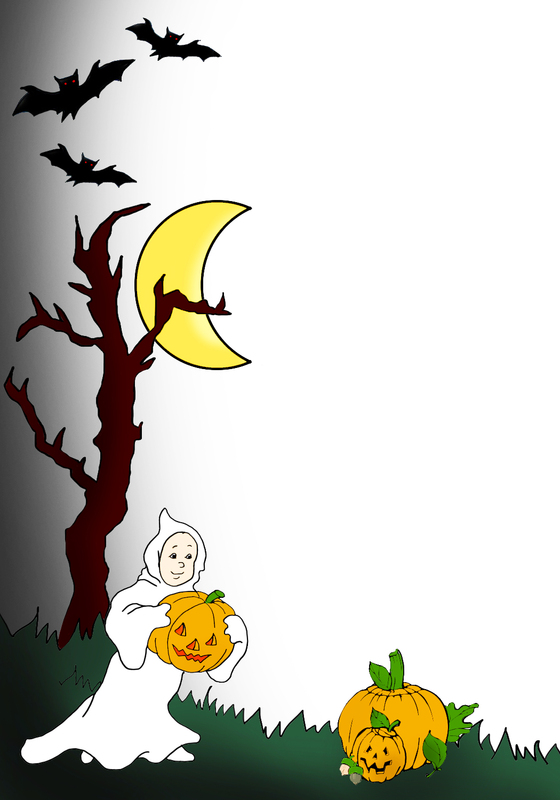 Halloween Clip Art: All kinds of drawings and cut-outs for Halloween greetings and invitations. Halloween Party Ideas: A page where you can get ideas and descriptions of different games to play at Halloween. 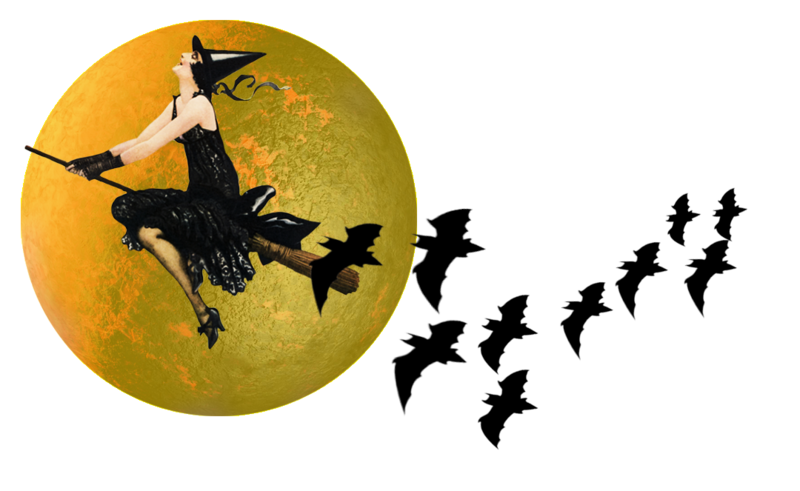 Halloween Sayings: This is where you find the perfect Halloween quote and saying for your invitations and greetings.